SiG Note: This article was originally published on the J.W. McConnell Family Foundation blog and Tamarack CCI. Earlier Spanish and Basque versions of this blog were published in Spain by Innobasque. After a century of robust development of technological and business innovation, plus several decades of cracking the code of social innovation, the time has come to create an integrated innovation system. Innovation has long been recognized as necessary for a nation’s economic and business success. But citizens have relied on a trickle down approach for the benefits from technological and business innovation to trigger broad societal well-being. Unfortunately today’s social, ecological and economic problems – ranging from preventable chronic disease to social exclusion to youth unemployment to climate change – are escalating in scale, severity and urgency. They won’t wait for laissez-faire innovation. Society’s needs and innovation’s benefits can be more directly connected and aligned. The opportunity of the 21st century is to harness the combined power of social innovation and mainstream (technological and business) innovation. Mainstream innovation is an advanced ecosystem of technological, business, financial and human resources wired to produce efficiencies, profit and, increasingly, disruption. Social innovation works primarily at the margins to take on the most pressing social and ecological challenges of the 21st century. Social innovation responds to gaping tears in our social fabric made more visible as aging systems fall behind or fail to use new tools like behavioural economics, human-centred design, collective intelligence, and both open and big data. The urgent call is to steward a new collaborative mindset and approach. One that integrates today’s tools and technologies with new knowledge emerging from across all sectors on innovation, social behavior, social capital, collaboration and networks. We need an innovation system driven by a new integrated innovation paradigm and a solutions-oriented economy. The OECD reports that “[i]n 2014, OECD countries devoted more than one-fifth of their economic resources to public social support”. It is estimated that 17% of Canada’s GDP, or approximately $300 billion, is spent on social outcomes. In the US, that figure is closer to 19.2% of GDP and in Spain, it is higher still, at 26.8% of GDP. What are we missing by not having a more inclusive, integrated national innovation system, capable of producing greatly improved and robust social outcomes? How can we repurpose the large investments in social programs that are structured mostly to mitigate rather than solve societal challenges? How can we catalyze a purpose-driven innovation ecosystem? The problem is not that these questions are not being asked. Nor that we are not already deploying social innovation and advancing social outcomes in critical domains. The problem is that these efforts remain marginal to the scale of our challenges. Something more is needed: we must rewire the innovation system. Guiding rules: New paradigms of collaboration and competition, new open and bottom-up principles, new forms of interoperability and sustainability. This will require a new role for public investment, one that honours the vital role of government in market creation and driving periods of transformative change. Mazzucato identifies the role that government must continue to play as a key, and often more daring, partner of the private sector, derisking critical directions for market development. Recognizing government as a public investor opens up the opportunity to re-deploy vast resources (currently being spent on shoring up frail systems inadequately serving public needs) toward a common mission of integrated innovation for shared and inclusive prosperity. From adhocracy to transformed systems. There are exemplary cases of social and mainstream innovation converging to produce transformational social and economic outcomes, such as the Grameen-Danone Partnership, the co-operative movement, and the Toronto Atmospheric Fund. But we need to support a move from exceptional successes on the margins to a mainstreamed mindset of, and approach to, integrated innovation. To succeed, we will rely on new agile innovation hosting platforms where business, STEM and social innovation can actively come together with shared accountabilities and support systems. The opportunity here is to build on local experiences, capacities and knowledge assets, as well as global insight, evidence and models. One groundbreaking Canadian example of this is Grand Challenges Canada, tackling global health challenges affecting the developing world. This is the watershed moment: a multi-sector opportunity and imperative to unleash the full potential of our creativity, research capacity, knowledge and resources on our most pressing social, economic and ecological challenges to foster lasting, sustainable well-being and prosperity. SiG Note: This article was originally published on ABSI Connect on April 22, 2016. It has been cross-posted with permission from the author. It is time to pull back the current, briefly. For the past 8-months, I have had the privilege of being the administrator and an advisor for the ABSI Connect Fellows. My ‘usual hat’ is Senior Associate at Social Innovation Generation (SiG) National, based in Toronto. It seemed curious to many that myself and my colleagues would be the backbone administration for the Fellows. The simple truth is that SiG, with our national scope, was a nimble and willing platform of support when the idea of ABSI Connect was first conceived. An experimental initiative launched at a time of immense disruption focusing on a concept with a vexed reputation in the province, the focus of ABSI Connect on emergence, deep listening and relationship-building resonated strongly with the type of approach that we’ve learned can significantly support transformational change. It was our pleasure to help. Despite the Toronto location of the Fellows’ administrator, ABSI Connect was from Alberta, about Alberta, for Alberta, and led by Albertans. The Fellows tenaciously spearheaded the initiative with patience, determination, humility, deep reflection, passion and critical thought, embracing their role as systems thinkers, bridges, resources, relationship brokers and capacity builders. Their collaborative effort produced the story of Albertan social innovation, as they heard it, patterns of cultural elements accelerating or holding back the community, and a common agenda to move forward together in a uniquely Albertan way. The full richness of their findings can be read in their paper, “The Future of Social Innovation 2016” or you can read the summary paper here. Alberta has a rich tradition of social innovation. It is the province of the Famous Five, who secured women legal recognition as ‘persons’ in Canada, leading to a radical shift in our social relationships and in Canadian jurisprudence. It is the only province where the Métis have a legislated land base, with the goals “to secure a Métis land base for future generations, local autonomy, and economic self-sufficiency” (Source: Alberta Indigenous Relations). And it was the first province to develop a formal interface for non-profit sector leaders to address high level, sector-wide issues directly with government officials – the Alberta Nonprofit and Voluntary Sector Initiative. Alberta has consistently been the home of key justice and equality movements, from the United Farmers of Alberta to the Pembina Institute. What is common to all of these milestones? Each transforms a critical relationship, introducing a new status quo that advances, in some way, inclusion, openness and deeper collaboration. Author Thomas King (and a former professor of Native Studies at University of Lethbridge) writes, “the truth about stories is that that’s all we are” (The Truth About Stories, 2003). The stories we tell about ourselves matter; they inform how we see, show up and act in our daily lives. The Fellows amplified Alberta’s story as a leader in doing what it takes for community well being and equality, shedding light on an inspiring legacy of operating at the radical edge of innovation. It is time to raise a barn together. While there is this rich history of social innovation in Alberta, one contemporary pattern the Fellows surfaced was in the opposite direction. Today, the social impact ecosystem celebrates and rewards individualism over collective action. There has been a shift toward communities of heroes, rather than heroic communities. Short time horizons for results and a focus on individual agency undercuts an otherwise deep interest in collaborative action and isolates successful initiatives embodying this approach. When the Fellows began their journey last summer, social innovation was a vexed concept in Alberta, specifically in Calgary and Edmonton, where their efforts were concentrated. Some folks considered it a critical new process to advance long sought social change, others considered it an empty fad, others still saw evidence of neoliberalism in the approach, and yet others felt it was either a useful or obnoxious term to describe the kind of breakthrough work they had already been dedicated to for years. The Fellows started from a place of deep listening, inviting each person they spoke with to share what they thought the value, definition, and possibility of social innovation is. In doing so, the Fellows killed two birds with one stone: they discovered that there is a common direction that people want to walk together (toward solving root causes) and, by listening and resourcing, they empowered the work of a diverse array of actors in both their current work and towards that common direction. The Fellows learned that it absolutely matters to have a shared story, but that story must be accessible, inclusive, inspiring and democratic. Here is how I heard it: our common ground is in our deep dedication to aligning our social change efforts with our fundamental intent. If the goal is to solve something, then we focus on solving it. If the goal is to change the status quo, then we reimagine it. There is a growing movement of processes, models, approaches and shared learning that will help us align intent with action, whether we must invent, innovate, adapt, adopt or collaborate to get there. Social innovation is the stuff of culture. With little or no preconceptions of what they would be sharing back with community at the end of their term, the patterns and opportunities the Fellows identified through emergent learning all relate to the cultural elements shaping how and why we seek to forge solutions to our most complex challenges. What they heard and learned strikes at the heart of how we think about, enact and vision impactful social change. What we call it matters less than identifying the systemic patterns shaping how we go about it and working to break the patterns holding us from our core intent. Like any journey without a map – and solving complex social and ecological problems is as far from having a map as possible – we must constantly check-in on our direction and our path, referencing the changing landscape, the local know-how, resonant examples, our experiences, the experiences and stories of others, and our own courage to try a path untested. With an appreciation that we alone do not have the answers, but the answers are out there, we can make a concerted effort to contribute to their collective creation. Thank you to the Fellows for leading and inspiring a unique inquiry, learning journey and community. Thank you all – especially the funding partners, hosts, advisors and contributors – for your time, contribution, support, insights and partnership. The journey continues with the Fellows’ insights offering pathways forward and a true shock of the possible. With the Federal election campaign well underway it is high time we talk about innovation. Governments are often written off as a potential engine for innovation, but innovation in government is at the core of its future and the future of our country. “Necessity is the mother of innovation” and in a time of complex social and ecological issues, rising deficits, and where calls to reform the state get louder across the world – innovation has earned its place in this discussion. There is no better time for this discussion than during an election period. A change in government can mean radical disruption, even a slight shift in the balance of representation can allow for renewed interest and traction on otherwise forgotten initiatives. It also provides an opportunity to reframe, rethink, and reinvent current initiatives. Ultimately, an election provides us with an opportunity to pick a vision for the future of our country, and by extension decide where resources will be allocated, which often dictates the government’s role in the market. The current prevailing archetype for government is that of market regulator: offering both oversight and at times, salvation for dying industries and businesses. But governments have done and can do more for the economy. Governments have been unsung risk takers for decades, making significant investments in groundbreaking research, innovations, and businesses. In her book, The Entrepreneurial State: Debunking Private vs. Public Sector Myths, economist Mariana Mazzucato delves into the incredible impact government-funded research has had in innovation as a result of what she refers to as “The Entrepreneurial State.” The State, as she illustrates, uses vision and the financial means to position itself as a market shaper – not fixer. Government-funded research has created the elements necessary for some of the biggest and most successful products and companies today. Mazzucato cleverly illustrates her point with the iPhone, whose components and features like GPS, the internet, touch screen display, microchips, and more were a direct result of robust government-funding in innovative technologies. Governments were the catalysts that helped fund the building blocks to the modern world. Two Canadians sent a Lego man into space aboard a homemade weather balloon in 2012. 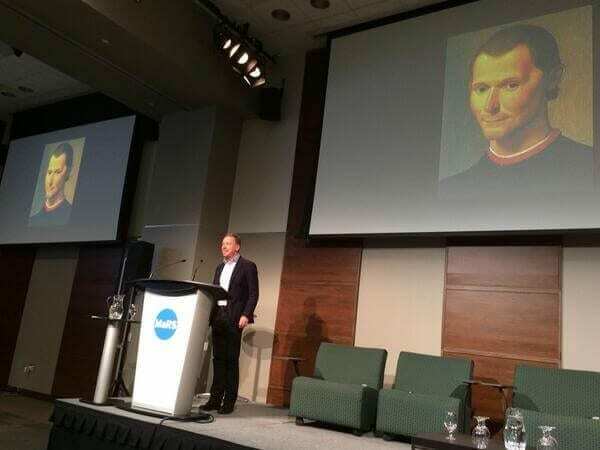 Canadians have much to be proud of when it comes to innovation. Canada was the third nation on earth to travel to space. Canadians have made huge leaps in medical science, including the groundbreaking discovery of insulin. Canada continues to be a robust research and development machine championing public-private partnerships, but work remains to be done to encourage businesses to increase their efforts in research and development. In Canada, governments contribute 10% of the billions spent on research and development, but they play an important role by providing time and the resources necessary for change to occur. True change takes time, but it also takes the vision to commit to change. The country is staring down some of the most complex issues ever faced and we need the gusto to face them with a research and development machine that focuses not just on traditional tech inventions, but one that catalyses social and ecological innovation, as well as the intersect between the three. We are starting to accelerate in this direction. Various levels of government have given bold mandates and government-funding to explore challenges through various task forces and commissions. A powerful example that comes to mind is the Truth and Reconciliation Commission (TRC), an important first step to a renewed relationship based on mutual understanding and respect with First Nations, Inuit, and Métis people in our country. There was a powerful call to action made by the TRC for different levels of government to work together in order to implement the recommendations in areas like Child Welfare, Education, Health, Justice and more – all areas in which First Nations, Inuit, and Métis people face unique barriers that must be addressed. Coming out with a report just last month, the Advisory Panel went against its mandate boldly recommending the creation of an annual $1-billion Health Innovation Fund. Their justification was simple; in our system we have been missing “a pool of funds to support change agents as they seek to develop and implement both incremental and disruptive innovations in the organization and delivery of healthcare.” Incredible work to improve delivery of our healthcare system has been accomplished, but there is no way to scale their success. The Innovation Fund would change that. Last, but only one of the many examples of work done in the last decade, is the Ecofiscal Commission which although independent of government, aims “to serve policy-makers across the political spectrum, at all levels of government.” Their mandate is to “identify and promote practical fiscal solutions for Canada that spark the innovation required for increased economic and environmental prosperity.” The 12 economists who make up the Advisory Panel released the Commission’s inaugural report, advocating for every province to put a price on carbon. These reports include the work of leaders across all sectors and fields who sense urgency and a need to act now. As we continue to navigate the longest election since 1926, it is important to bring these conversations into public discourse and encourage all parties to embody the Entrepreneurial State in their platforms. Regardless of the results from October 19, Canada needs a government that will champion catalytic innovation, evidence based decision making, and impact investments that will establish Canada as a leader in green energy, in health innovation, in social innovation, in research and development, and more. SiG Note: This article was originally published on July 7, 2015 on the MaRS Solutions Lab Blog. It has been cross-posted with permission from the author. News: Thursday, July 9th, is the global labs gathering in London with LabWorks! Follow #LabWorks for this exciting conference and the latest learnings from 50 labs globally. 1. WISIR’s Social Innovation Lab Guide is out! 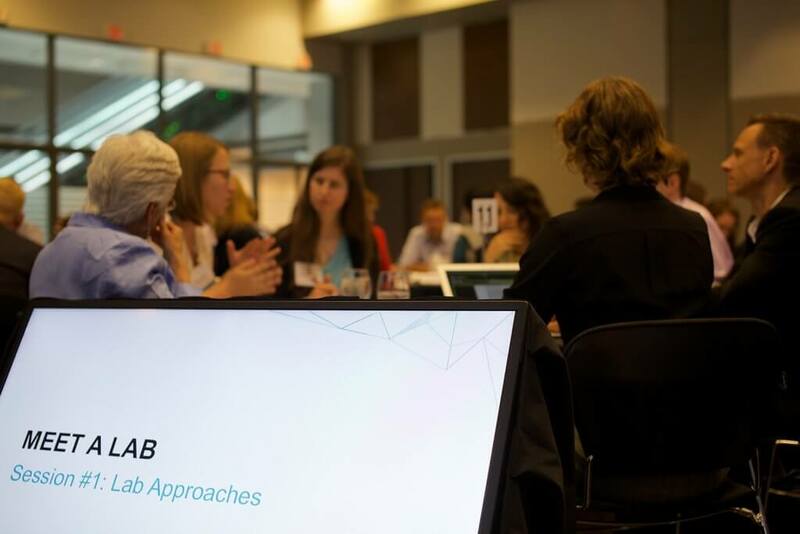 This long-awaited lab guide presents a step-by-step process in designing and implementing your social innovation lab, with tips and advice on how to iterate and adjust design based on the context. We are thrilled to have had the opportunity to work with WISIR’s team, including Frances Westley and Sam Laban, and to share our learnings within the Prologue with Joeri’s “Testing a Lab Model”. A great slidedeck on the difference between prototyping and piloting and 3 approaches to prototyping in the public sector. As relevant for UX as for public + social innovation labs. Inspirational and interesting. A quick 3:42 minute video on why design matters, taking a historical approach on design through exploring politics and religion. Interesting! We hosted Canada’s first Civic Design Camp on June 26, with an audience of 120+ designers, programmers, and civil servants to design responses to 5 real-life challenges submitted by the Canadian government and research organizations alike. SiG Note: This article was originally published by MaRS Solutions Lab on June 17, 2014. It has been cross-posted with permission from the author. Labs for Systems Change brought together many outside-the-box thinkers to discuss, debate and challenge the new field of labs. The event resulted in abundant discussion on topics including functional lab challenges, lab values, institutional structure and new ways to impact public policy. Labs for Systems Change is the public portion of this year’s Global Labs Gathering, a now annual gathering of public and social innovation lab (PSI labs) practitioners from around the world. The event was the third and largest gathering yet and was organized by the MaRS Solutions Lab, in partnership with Social Innovation Generation (the first meeting was held by MindLab in Denmark; the second by Kennisland in the Netherlands). Labs for Systems Change brought together 50 international guests and 100 participants from across Canada. Designers, policy-makers, academics, consultants and lab practitioners all convened at MaRS to explore, expand and define the lab landscape. Distinguished members of the Canadian federal government and members of the Ontario Public Service were also among the attendees. The event was livestreamed in North America, Europe and Asia. The notable lineup of guests included Frances Westley, Director of the Waterloo Institute for Social Innovation and Resilience; Jari Tuomala, Partner at The Bridgespan Group in New York City; Christian Bason, Director of Innovation at MindLab in Copenhagen; Beth Simone Noveck, Director of The Governance Lab at New York University; and Adam Kahane, Chairman of Reos Partners North America, among over 40 eminent international guests. These guests participated as panelists and keynote speakers on three topics: the state of public and social innovation labs; design for public policy; and labs, governance and technology. Table discussions on lab approaches, the organization of the lab and the future of labs were also held throughout the day. These interrelated topics helped guide the event towards a productive conversation about the past, present and future of the labs field. Although Geoff emphasized contrarianism as a quality that lab practitioners should have, it was not the only quality he spoke of. His more controversial point came from his understanding of Niccolò Machiavelli’s works on political strategy. Geoff suggested that guile—that is, “cunning in attaining a goal”—is another quality that lab practitioners should have. His remark garnered a good laugh, but it also piqued the interest of the attendees, as guile would certainly come in handy when embarking on the long journey toward public-sector intervention and policy change. Laughs aside, the need for new strategies for approaching systems change through policy interventions is very real; it is a need that was reflected by the large number of lab practitioners and public-sector innovators at the event. Labs for Systems Change created a platform for further developing the field of systems change labs by bringing together key players in the field to discuss the issues commonly faced by labs, as well as core concerns such as values, institutional structure and the future of this growing field. Moreover, many significant challenges were raised during the event, including prototyping, scaling, defining the metrics of success and change, creating a sustainable business model, and facilitating more networked ways of learning between labs to better share the key lessons learned along the way. During the first panel, the institutional structure of labs (that is, whether labs should exist inside or outside of government) was a point of contention. 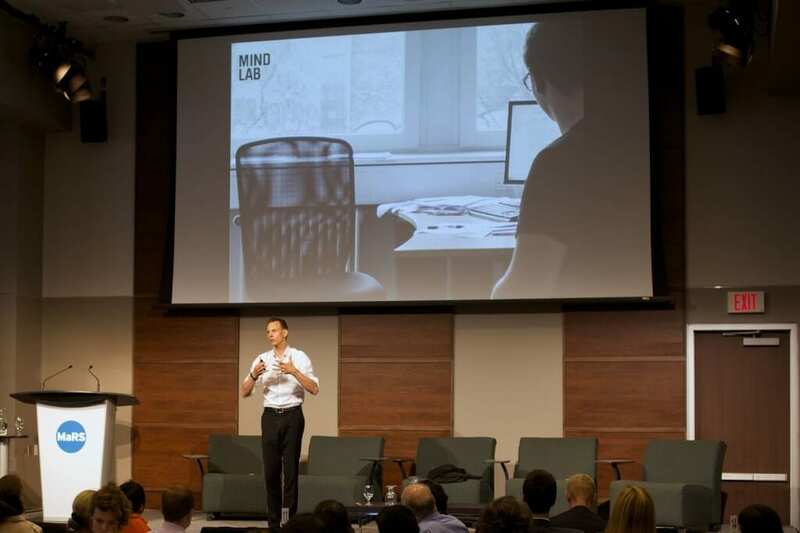 Labs designing citizen-centred, bottom-up processes and using tools such as big data and social physics are able to gather data outside of government. However, when labs are looking for resources, governments seem to be the key stakeholders and funders. Increasing funding options through outside sources like venture capital might be a way forward for some labs. Nevertheless, other attendees suggested that being inside or outside of government shouldn’t matter, as long as labs were producing an impact. This need resonated among event attendees. Labs and practitioners should be more than neutral facilitators. They should have a concrete vision of their purpose and use it to guide their decisions. Whether that vision is like that of Gabriella Gómez-Mont, Director of Laboratorio para la Ciudad, who views Mexico City’s citizens as being not “22 million mouths, [but] 22 million minds,” or whether it is like that of Adam Kahane, who believes in checking one’s biases at the door before getting involved in a project, having a concrete set of values or a manifesto can be beneficial to any organization or field. Having a vision provides a general foundation from which to grow. Overall, Labs for Systems Change was an incredible learning experience. The event was a forum for lab practitioners, policy-makers, designers, academics and consultants to interact and share their experiences in a collaborative environment. With so much cross-pollination of lab processes and systems change ideas, the potential for positive outcomes is immense. Moving forward, lab practitioners will need to address the key challenges facing labs, including defining metrics, scaling solutions and building sustainable business models. Moreover, labs as a field should create a repository of systems change interventions, in order to share information on what works and use these interventions as concrete examples of lab results. Both of these actions will do more to enhance the field than simply spreading lab processes, as more is not always better and even an unintentional decline in quality due to quantity could hinder rather than help this relatively new field.